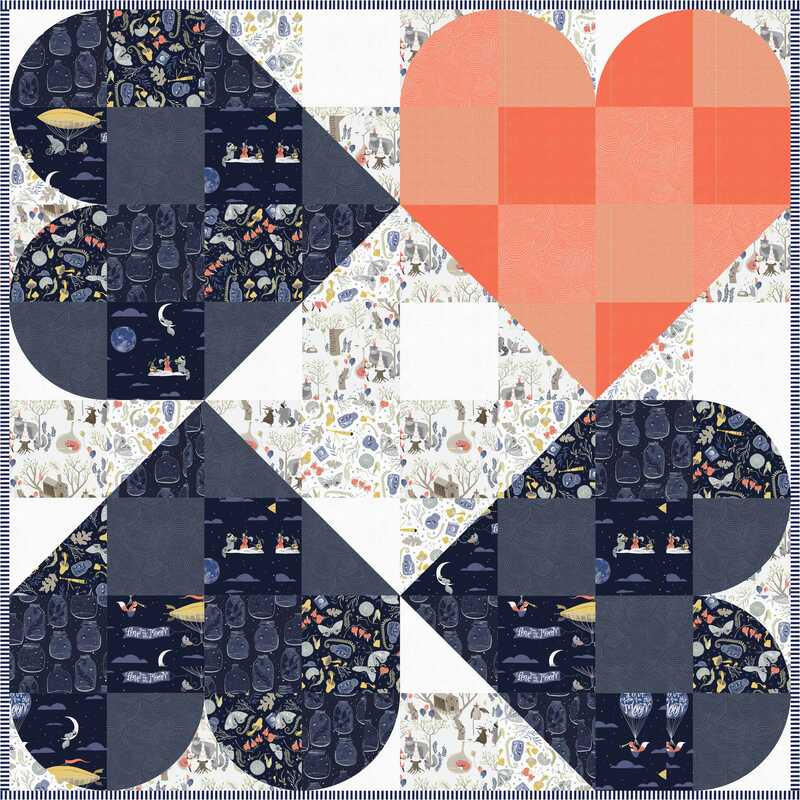 The Take Heart Quilt is a blend of techniques for one unique yet universally appealing block. 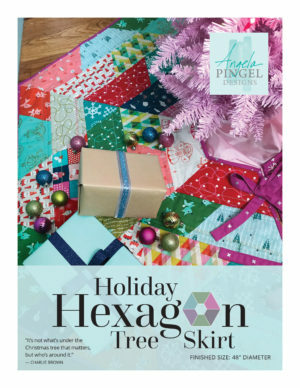 The pattern features rotary cut curved templates and curved piecing as well as simple HST construction. 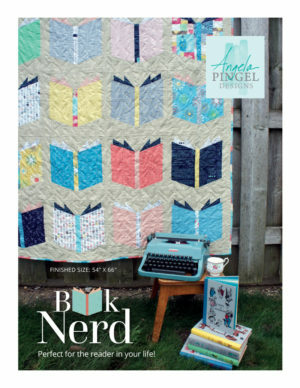 This is the perfect quilt for the beginner ready to tackle their next new technique. 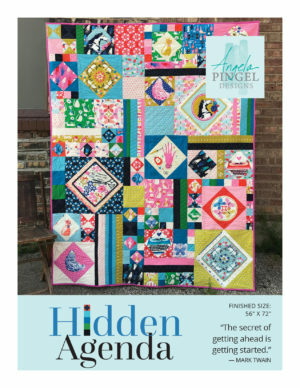 A simple rotation of one quilt block ensures a dramatic setting in any arrangement. 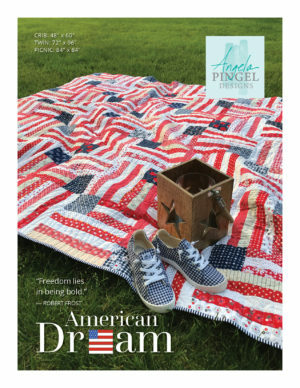 The scrappy hearts are loved by all and create the perfect quilt for lovers, dreamers and me. 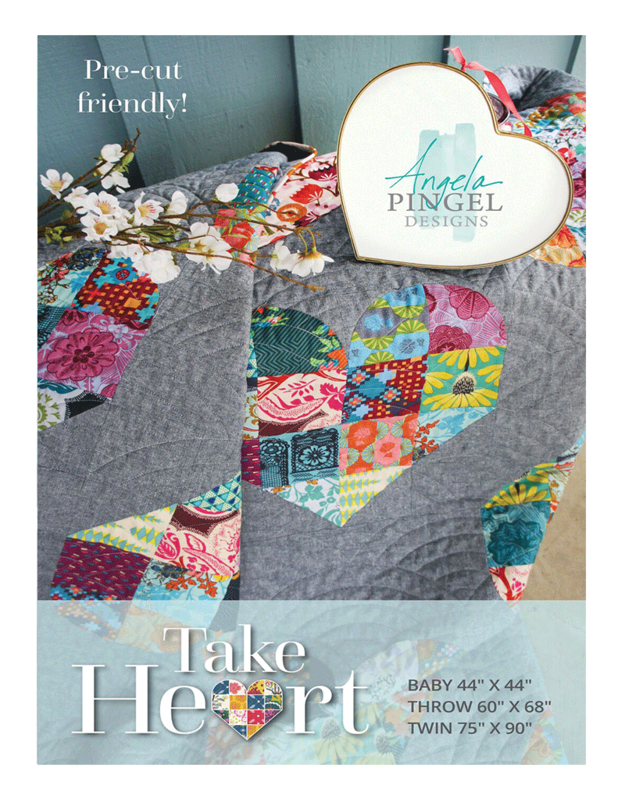 The Take Heart Quilt is pre-cut friendly, various sizes accommodate charm packs or layer cakes. These provide the fabrics needed for a memorable scrappy quilt. Keep the quilt at the given size for a comfortable throw, or easily add blocks to make a bed size quilt. 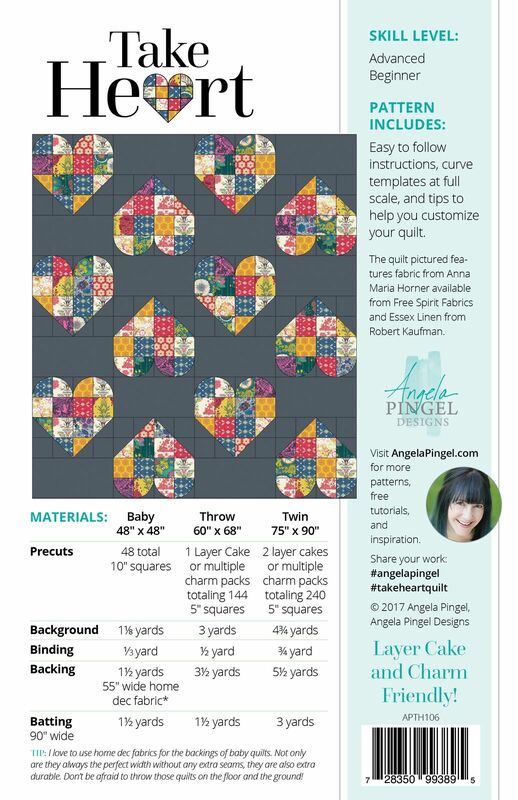 As a bonus, the pattern includes directions for making a baby quilt version that uses only four blocks with large pieces. * I love to use home decor fabrics for the backings of baby quilts. Not only are they the perfect width without any extra seams, they are also extra durable. Don’t be afraid to throw those quilts on the floor and the ground!